The event will be BYOB, but we will have some refreshments on hand and a grill fired up in the back yard for the duration. Anyone with kiddos is welcome to bring them. We’ll have the upstairs and back yard setup with lots of stuff to play with. Some of the acts may not be entirely kid appropriate, but we’ll give fair warning before they start. 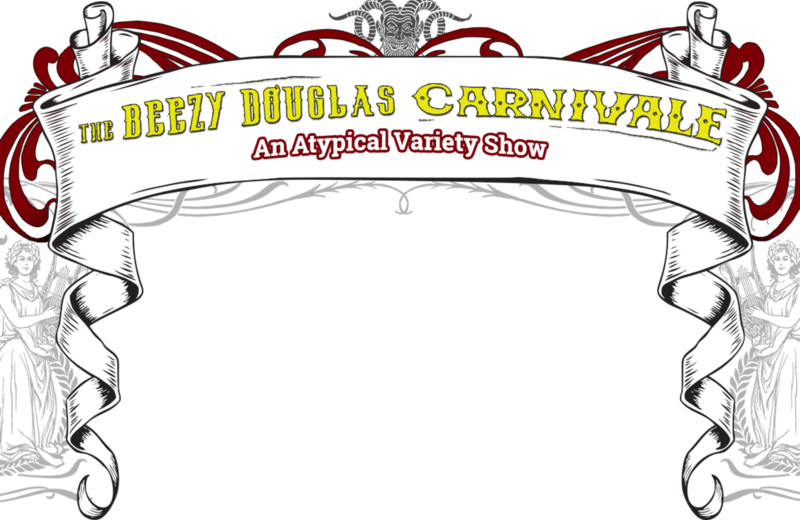 The spontaneous success of that night made me want to produce a variety show at the Compound on a monthly basis, and a week after the first show I invited a bunch of friends over to brainstorm developing an actual “Carnivale”. I had a successful six month run, culminating in an all day finale that featured over fifty musicians who’d played over the course of the first season. My favorite aspect of this show has always been building and cross-pollinating the audiences of acts I believe in, and personal connections that are made in the audience. I love how many people are now close or even loose friends because of this show. There isn’t one act that I’ve booked whose success I don’t totally believe in, and I’m humbled by the incredible talent I’ve been given the privilege to promote.